Between the plants and sculptures, the jardin des serres d’Auteuil conceals treasures from the view of passers-by. Let’s take a closer look at this beautiful green space that’s well worth a visit. Paris has a botanical garden with a collection of 4 separate gardens: the parc de Bagatelle and the jardin des serres d’Auteuil, both located in the Bois de Boulogne and the Arboretum de Paris and the Parc Floral, located in the Bois de Vincennes. The botanical garden of Paris covers a total of 70 hectares and contains over 15 000 species of plants. In the jardin des serres d’Auteuil, you’ll be able to contemplate plants from all over the world. It’s filled with flower beds of Japanese, Mediterranean, or English inspiration. But what really gives it that special touch is the number of tropical plants from far away countries. Over 6000 different species, arranged into themes can be distinguished while strolling through the garden. And there’s more to see than just plants: some buildings in the garden are considered historical monuments. On top of that, statues and fountains can be found between flowerbeds and greenhouses here and there. 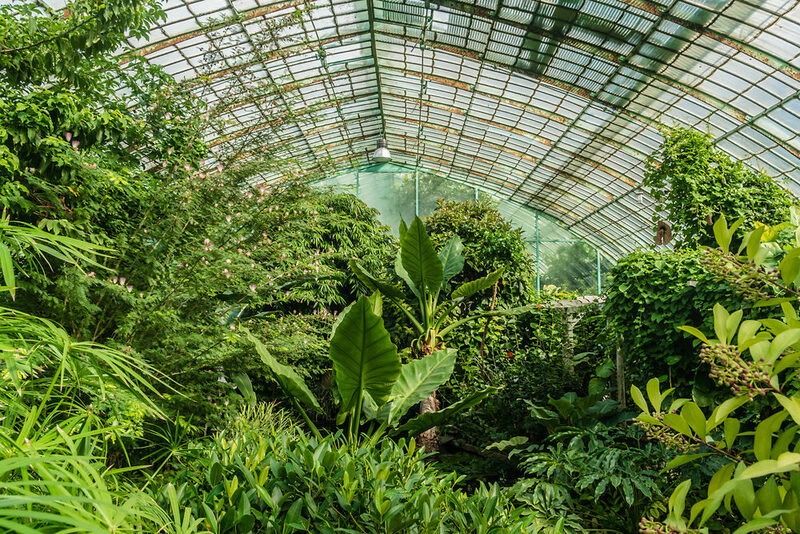 Since 1898, turquoise painted greenhouses occupy a good part of the jardin d’Auteuil. Five main ones overlook the central area: the large greenhouse, the palm tree greenhouse, the azalea greenhouse, and finally the east and west greenhouses. Each contains a variety of plants to be admired: the large greenhouse is divided into 3 distinct climate areas with different varieties of trees and plants. The garden is located in the 16th arrondissement, on the edge of the Bois de Boulogne, and not far from Roland-Garros. Get off at “Porte d’Auteuil” station line 10 if going by metro. Entrance to the garden is free. Make the most of the visit with your family! Pets are not allowed. At Aloha, we help you plan your trip to Paris. Please contact us!